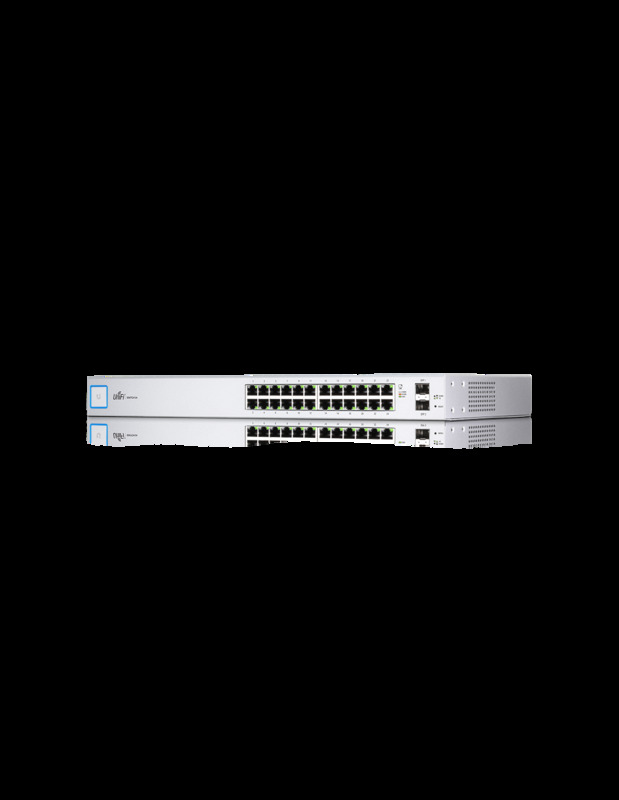 The US-24 from Ubiquiti Networks is a cost-effective, multi-port network switch that provides a total non-blocking throughput of up to 26 Gbps. 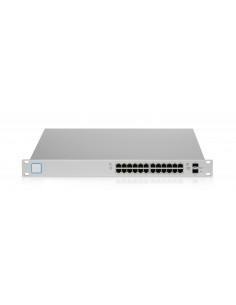 This US-24 model features (24) Ethernet ports and (2) 1G SFP ports. 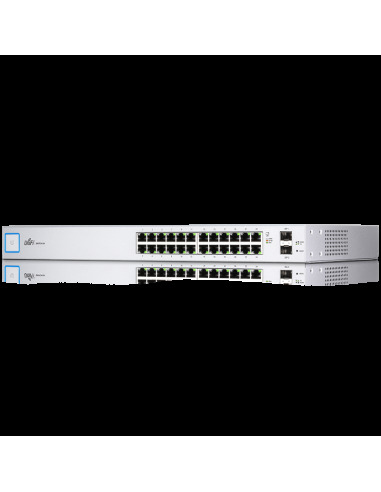 Ubiquiti UniFi network switches are managed with the convenient and simple UniFi Controller. This software allows configuration of a variety of features of your UniFi networking devices, including configuring network and VLAN settings, operation mode per port, command-line debugging, and much more. A single instance of the UniFi Controller running in the cloud can manage multiple UniFi sites within a centralised interface. Each site is logically separated and has its own monitoring, configuration, maps, statistics, and admin accounts.